“ Those who seek paradise on earth”, George Bernard Shaw once wrote, “should come to Dubrovnik ”. Today he might add that Dubrovnik is the place for all those who wish to renew themselves and their faith in human nature. Stari Grad - the old city of Dubrovnik and its medieval walls have been designated a World Heritage Site by UNESCO. Parts of the walls date from the 13th century. Leaving Pile squar on the foot, your guide will lead you through west side entrance to the Old Town where your special exploration begins. 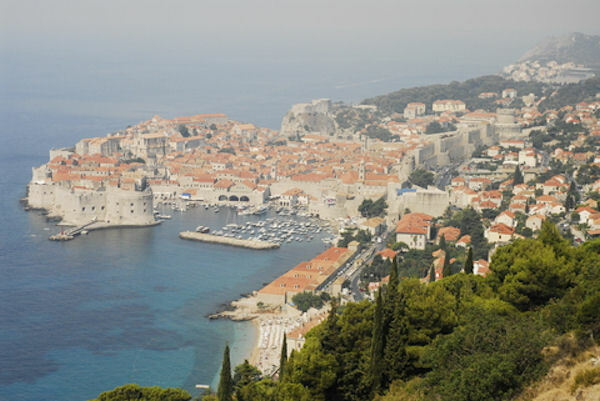 You will explore the town of Dubrovnik before going to the walls which were completed in the 13th century. The ramparts are intact and encircle the old city with a circumference of more than a mile and a half. Ascending the stairway at Pile Gate, you will soon reach the top of the wall where your guide will lead you on a walking tour along its entire length. You will see the gorgeous Minčeta Fortress, St. John`s Fortress, Bokar Fortress and the Maritime Museum. NOTE: This tour is including significant amount of walking. City Walls are approachable via (approx) 100 stairs and entire walking amount around City Walls is 1 mile. Guests with walking difficulties are kindly requested to take this into consideration. Head protection and comfortable shoes are suggested. Remember to bring your camera. NOTE: This tour is including significant amount of walking. City Walls are approachable via (approx) 100 stairs and entire walking amount around City Walls is 1 mile. Guests with walking difficulties are kindly requested to take this into consideration. Head protection and comfortable shoes are suggested. Tour departs from Dubrovnik Old Town. The specific meeting location at the pier will be listed in your confirmation email and voucher for this shore excursion. See the 'Redemption and Voucher Details' section below.